​The Japanese are mad about beetles, from collecting Japanese rhinoceros beetles to the popular arcade game "Mushiking". 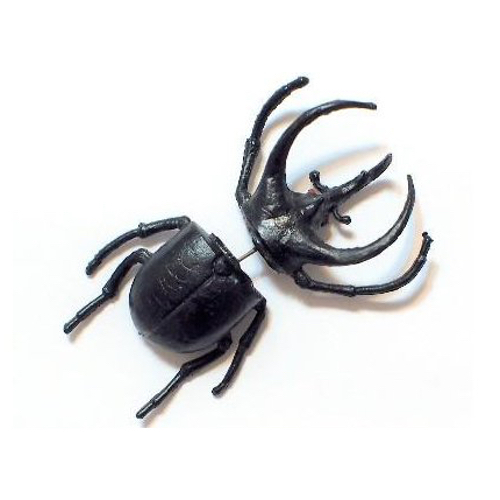 The beetle trend really exploded in the mid--2000's, though it's still going strong, as this Japanese Rhinoceros Beetle Earring demonstrates. Known as kabutomushi in Japanese, the rhinoceros beetle is one of the most popular creepy crawlies and can even become a fashion accessory. The unique piercing has been made by a Taiwanese designer and is sold at counterculture book store Village Vanguard in Japan. It is designed so that the beetle seems to be coming stuck in ear!